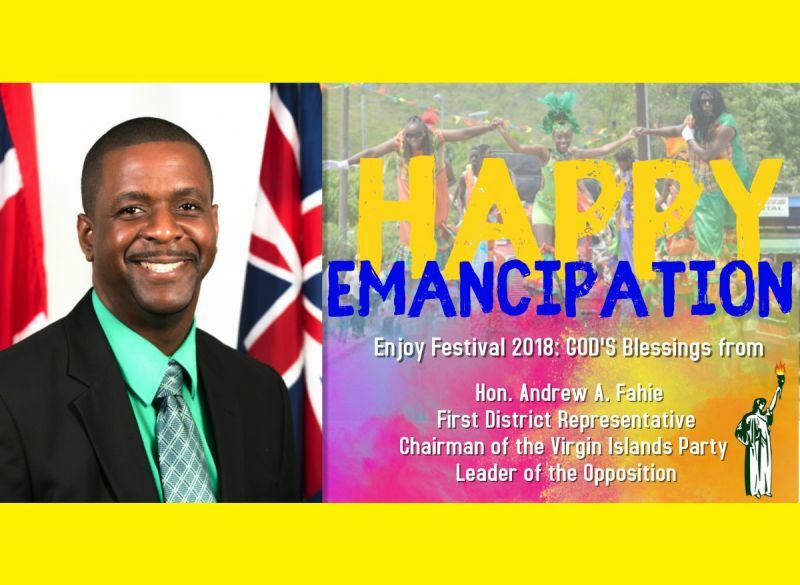 This, according to Chairman of the Virgin Islands Party (VIP) and Opposition Leader, Honourable Andrew A. Fahie (R1), in his ‘Festival Message,’ to residents of the Territory—currently observing the nation’s annual Emancipation Celebrations. Mental Slavery is most prevalent here in the BVI. Our minds have been conditioned systematically for soo many years that we don't realize that we are fighting against our own brothers and sisters. We must be conscious that "none but ourselves can free our minds". So let's all work together, embrace each other and make this territory truly ONE BVI starting with our leaders. Safe festival everyone! So very true, we fight, call down, tear down and press down our own too much, even when it is not warranted. Live and let live!!! Excellent message Honorable Fahie. Thank you. I really love this emancipation address. All the best everyone for festival. This is why I would take Fahie as Premier over bald head any day because he knows that there's a time and place for everything. Like screwing the Braithwites over? Emancipate yourselves from mental slavery none but ourselves (locals/support your own) can free our minds. Good sentiment only one of the most important groups got missed out and that is the expats who went through it all with us, lost their things with us, feared for family friends and neighbours with us and are here rebuilding, cleaning and working with us to salvage our two main industries. They are owed a huge debt of gratitude and probably some better rights. Without them, the economic prospects are dire. At Missing. 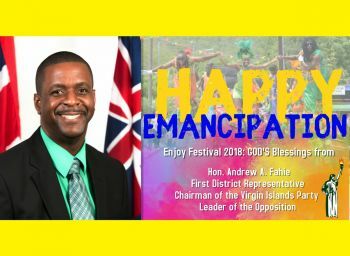 "He noted however, “…it is with great pleasure that I greet my people and residents of the Virgin Islands (VI). What the hell part of that statement you do not comprehend? Enough of the Expat bs just about now. If you do not like the Virgin Islands, you have options.